The Presidential aspirant on the platform of the Peoples Democratic Party (PDP), Ibrahim Hassan Dankwanbo, has declared that if elected president in 2019, he will fight poverty and injustices in the country, reports ITRealms. Dankwanbo, who is the incumbent Gombe State governor, expressed resolve to defeat the Presidential candidate of All Progressives Congress (APC) and other parties in the February 2019 election. The governor, a former Accountant-General of the Federation (AGF) and Ph.D holder in Accounting, said the number one priority of a leader was to ensure the happiness of citizens by removing poverty and injustices from the polity. "I am running. And I will win. Extensive consultations have been done and Nigerians will soon see a wind of genuine renaissance blowing all over their land. 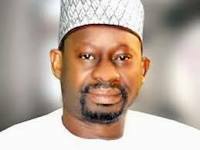 Declaring that he is the best man for the job, Dankwambo said: “Nigeria needs a man who can fire its imagination, release the people from shackles and make them blossom. I am the man. I don't want to just be President, I want to be the leader of a 180 million-strong army of achievers. “President is just a title. What Nigeria needs is a leader, a warrior on the frontline in the fight against poverty and all kinds of injustices our people are suffering today."